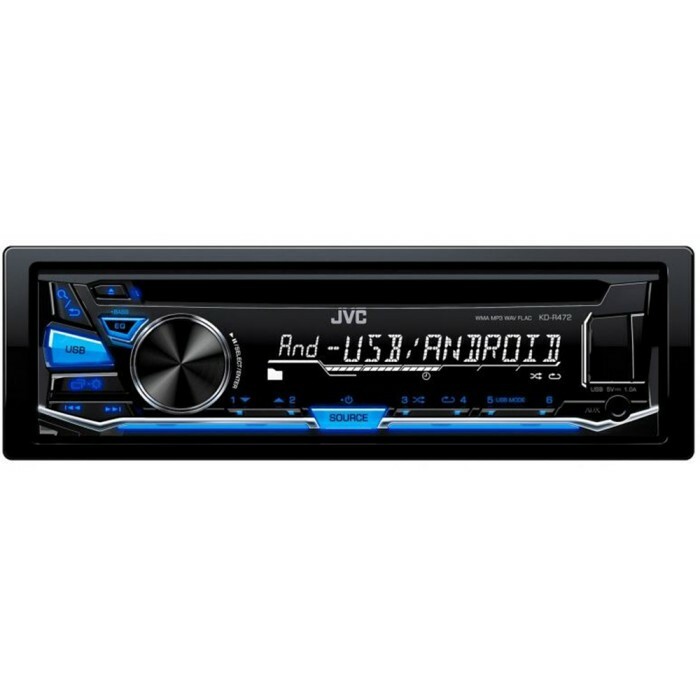 The JVC KD-R472 is packed full of features, to be honest it's almost too good for the price! 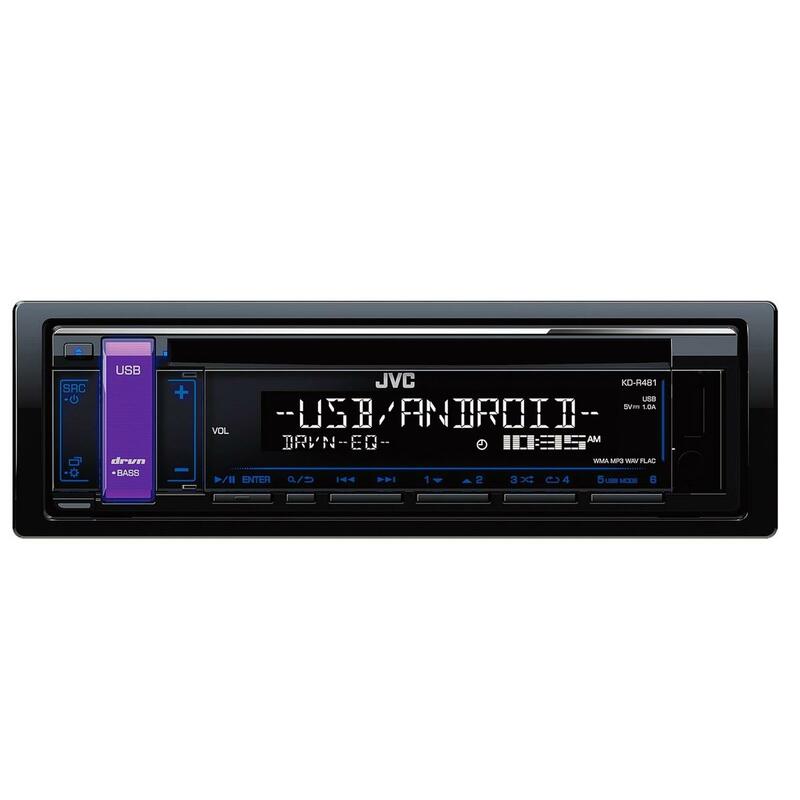 The KD-R472 offers Andriod control via the USB, this means if you have an Andriod based phone you will be able to access all your music from the JVC KD-R472 similar to that when using a iPhone. 12 Band Equalizer with 3 Brand Parametric Pro EQ- so what does this mean? Simple, rather than just the simple Bass and Treble controls you can now tune the sound precisely to your musical ear and as well as compensating for the fact most cars sound different, so you will get a great sound regardless of your car or speakers. There are no unit's available which will retain your CD changer, unfortunately it will be very hard for you to find a new model stereo which has a CD changer port. All new single CD players will accept MP3 CD's if that helps. I've got an EP3 and was wondering if this would fit. What does it come with? all connections etc? 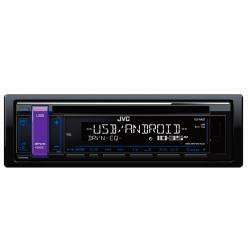 The JVC KD-R472 can be installed in your Honda civic. You will need the below listed parts for installation. Please confirm if this car stereo has both CD and FM (radio) capabilities. 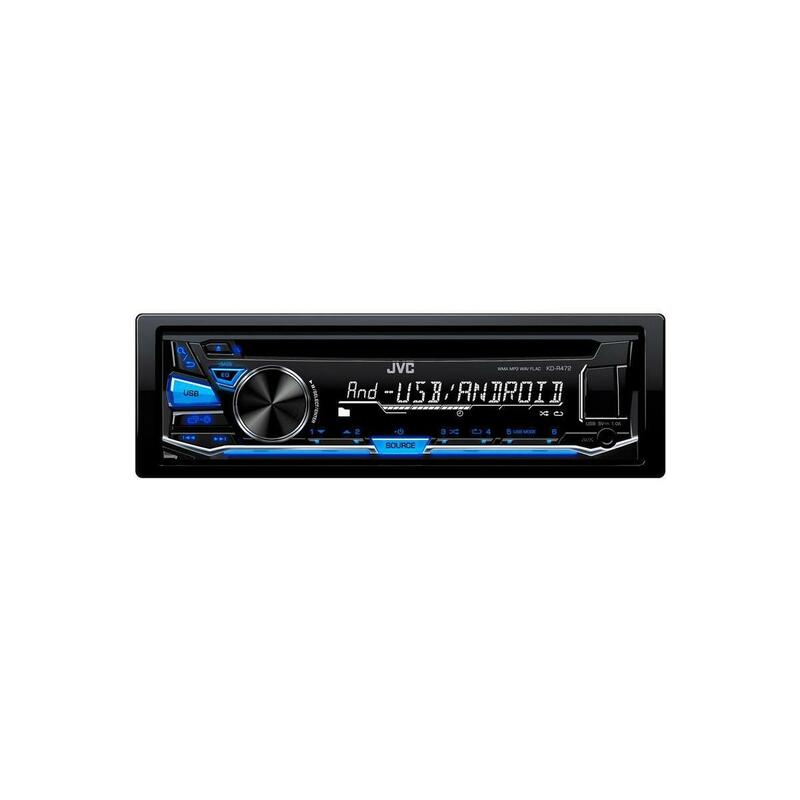 Thanks for your question, the KD-R472 is a CD receiver, containing a CD player mechanism & an AM/FM signal receiver. Yes the KD-R472 will fit your vehicle, however we will need to see your vehicle to check the correct parts required. Will this fit my 04 clio? Thanks for your question, the KD-R472 will fit into your Clio, however you may need a connecting harness. To determine which one, we would need to know what factory unit you have in the vehicle. you will also need a patch lead. these cables ensure that your other functions continue to work in conjunction with your new head unit.